Yep! That's right! 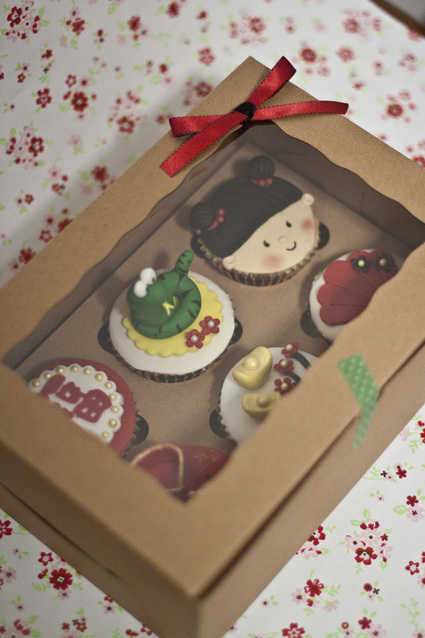 Chinese New Year Cupcakes for sale! Can't believe 2012 has passed so quick! Don't worry, I'm here to make your Chinese New Year a cute one! 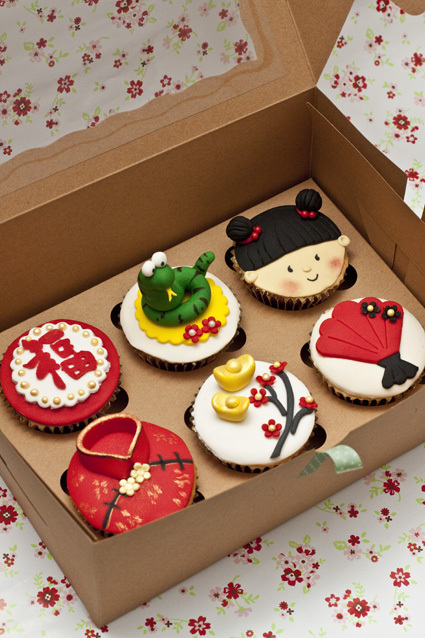 Here's a set of Chinese New Year Cupcakes for the year of Snake! 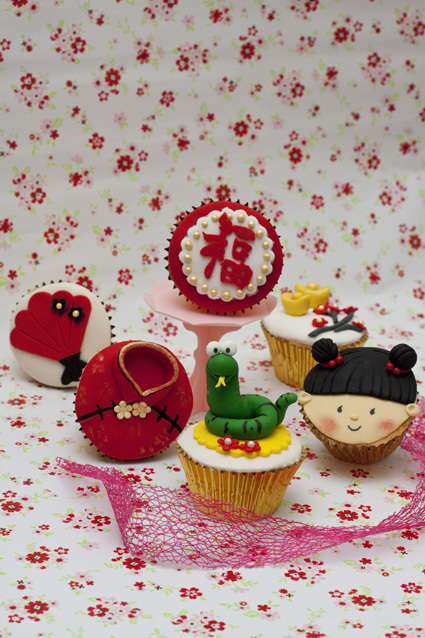 There is a cute fat snake, a chubby girl, cheong sam, chinese fan, the word "Good Fortune" and Gold nuggets! Delivery within Perth Metropolitan $5 extra. The cupcakes looks adorable and cute.